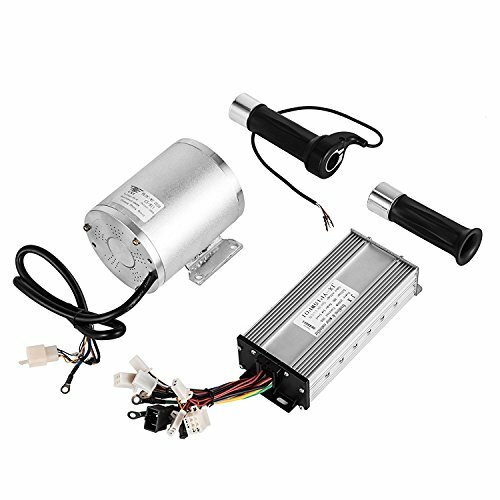 The Brushless DC Motor Kit is powerfrugal and stable for low noise, long lifespan. It suits for electric throttle, motorcycle, scooter, go karts, e-bike, atv, mini bikes, pocket bikes and electric dirt bikes. You will receive a gearing silver Brushless motor of which length is 134mm with speed: 4500rpm - 5200rpm, A Brushless Controller Under 41V Protection, and A Throttle grip! Suit for electric throttle, motorcycle, scooter etc.